Is there anything you can do to prevent the onset of dementia in your later years? New research looks at a number of different methods that have been tested in the hopes of protecting brain health, and it comes to a disheartening conclusion: none of them is proven to prevent cognitive decline late in life. But experts say that doesn't mean a healthy lifestyle has no benefit for the brain, and maintaining it from an early age could make a difference. The research, published in the Annals of Internal Medicine, reviewed dozens of previous studies on the impact of physical activity, prescription medications, cognitive training, and over-the-counter vitamins and supplements in older adults. The researchers said these were the most commonly cited interventions and were the only ones that had enough evidence to warrant review. They also said it's unclear why these interventions showed no benefit and it's possible the studies themselves were flawed. "The studies we looked at tended to enroll participants at older ages, rather than younger ages, and they often did not run for long periods of time, so had that been different would the outcomes be different? Right now, from the studies we have, we just don't know," study author Mary Butler, PhD, co-director of the Minnesota Evidence-based Practice Center (EPC) at the University of Minnesota, told CBS News. While doctors believe exercise plays an important role in heart and brain health, a review of 16 clinical trials analyzing the impact of physical activity on the brain in older adults -- mostly people in their 60s and 70s -- was less definitive. The researchers found there was not enough evidence to draw any conclusions about the effectiveness of aerobic training, resistance training, or tai chi for improving cognition. They did find, however, find some evidence that combining physical activity along with other interventions like a healthy diet and cognitive training, improved cognitive test performance. When it came to prescription medicine, the study authors reviewed 51 clinical trials and found that no pharmacologic treatments, including dementia medications, antihypertensives (for blood pressure), diabetes medications, NSAIDs or aspirin, hormones, or lipid-lowering (cholesterol) drugs, had sufficient evidence to support claims of cognitive benefits for older people. The researchers also reviewed 38 trials involving over-the-counter supplements, including omega-3 fatty acids, soy, ginkgo biloba, B vitamins, vitamin D plus calcium, vitamin C or beta carotene, and multi-ingredient supplements. They found insufficient evidence to conclude that any of the supplements worked to reduce the risk for cognitive decline in older adults. Finally, the researchers reviewed 11 trials that included adults with either normal cognition or mild cognitive impairment and found no evidence that cognitive training exercises could prevent dementia. There were some positive findings that suggested group cognitive training improved performance, but only in the specific skill involved in the training, not overall mental function. For example, memory training improved memory but not any other aspects of cognition, such as speed of mental processing. "I think the takeaway is that there is no magic bullet that will take care of preventing or delaying of dementia," Butler said. "We saw some encouraging signs that mirror messages we've always given to eat right, be active, and live a healthy lifestyle and that may benefit the brain, as well. I don't see these findings as being inconsistent with any messages than have been set out." She cautions that certain companies may be using marketing techniques to get customers to buy their products by touting brain benefits that science has yet to prove. "If you have limited resources, think wisely about how to spend them. Buy it if you enjoy it, but maybe a computer game isn't necessarily the answer here," Butler said. Experts not involved with the studies say the fact that these particular trials came up negative does not mean mental decline is inevitable, and they stressed the value of healthy lifestyle habits like exercise and diet to help reduce the risk. The newly published reviews only included randomized controlled clinical trials, which are rarely done for broader lifestyle interventions. In an editorial accompanying today's studies, Eric Larson, MD, of the Kaiser Permanente Washington Health Research Institute, notes that the recent Lancet Commission report on dementia, published in July 2017, concluded that one-third of dementia cases could be prevented through better management of lifestyle factors such as obesity, smoking, high blood pressure, depression, and hearing loss over the course of a lifetime. "This strategy acknowledges that factors throughout life influence ADRD [Alzheimer's disease and related dementias] development but may be modifiable and probably are susceptible to public health interventions and clinical care," wrote Larson, who was also a contributing researcher on the Lancet report. "In addition, improving risk factors will contribute to better general health and well-being." Similarly, a 2015 review of modifiable risk factors from the Alzheimer's Association found that "there is sufficiently strong evidence, from a population-based perspective, to conclude that regular physical activity and management of cardiovascular risk factors (diabetes, obesity, smoking, and hypertension) reduce the risk of cognitive decline and may reduce the risk of dementia." Keith Fargo, PhD, director of scientific programs and outreach at the Alzheimer's Association, says that the types of studies included in each review account for the somewhat conflicting messages in the Lancet and Alzheimer's Association reports and those published today in Annals of Internal Medicine. "Randomized controlled clinical trials are the gold standard for developing medication." Fargo told CBS News. "But to be frank, you really can't do that kind of study on some of the modifiable risk factors. In some ways that would be unethical to do." For example, it would be unethical for scientists to take people who are 65 years old living with high blood pressure and treat some of them and not others to see what happens for their risk of dementia. "There's some understanding in the scientific community that we don't want to leave certain interventions on the table just because they're not amenable randomized controlled clinical trials," Fargo said. When taken in that context, he said the new reviews aren't nearly as pessimistic as they appear at first look. 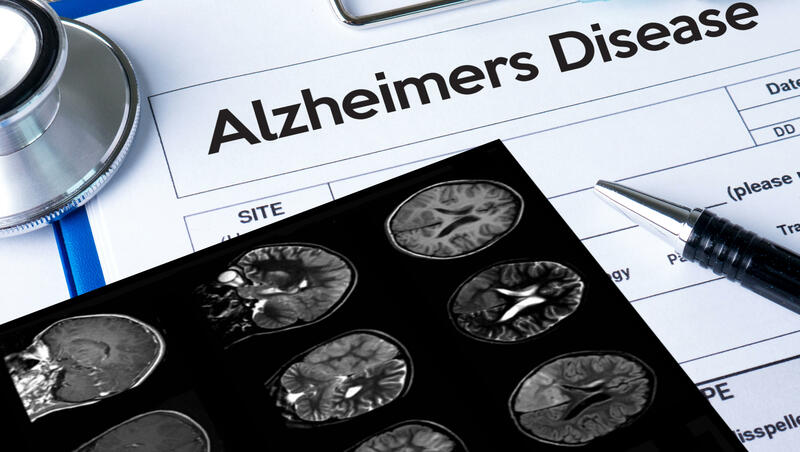 "Even under those fairly tight restrictions, the group still was able to say that there are certain modifiable factors that do have some evidence that reduce risk for Alzheimer's disease and dementia as you age," he said. "I think overall that's a positive thing." Dr. Gayatri Devi of New York's Lenox Hill Hospital, the author of "The Spectrum of Hope: An Optimistic and New Approach to Alzheimer's Disease and Other Dementias," agrees that the overall outlook is positive. She emphasizes that we can't ignore previous longitudinal observational studies that show benefits of a healthy lifestyle on the brain. "When you have a chronic illness where the pathology starts to develop early in life, in our 30s or 20s even, and you have the symptoms occurring much later in life, 30 or 40 years later, how are you going to have randomized controlled studies? You want something that's really long term that looks at population-based data," she said. Ultimately, experts say that while there is no panacea proven to prevent cognitive decline, there are things people can do to help reduce their risk. "When people ask me how to prevent dementia, they often want a simple answer, such as vitamins, dietary supplements, or the latest hyped idea," Larson writes. "I tell them that they can take many common-sense actions that promote health throughout life and may help to avoid or delay ADRD, namely regular physical activity; control of vascular risk factors, including preventing or effectively managing diabetes; not smoking; and maintaining a healthy diet and weight. ... Note that none of these recommendations has harmful side effects." The Alzheimer's Association has more information about clinical studies and how people with Alzheimer's, caregivers and healthy volunteers can participate in research. Learn more on the TrialMatch web page here.